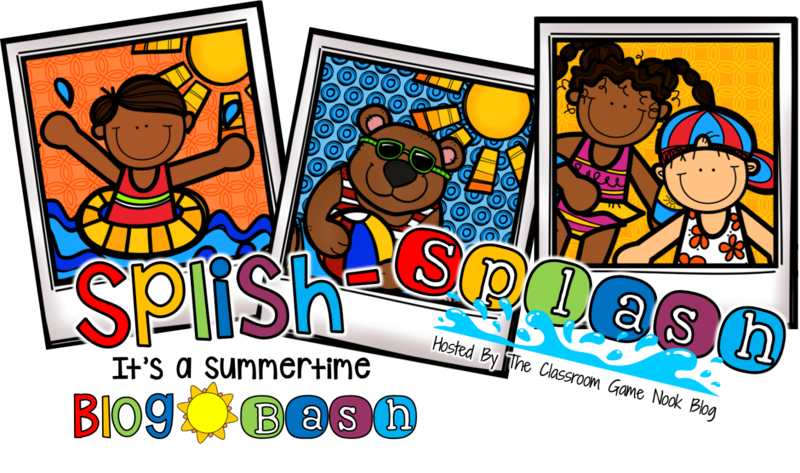 I'm joining in with an enormous group of sellers from Teachers Pay Teachers to showcase some of their top products and offer one to be raffled away for FREE. Also, I am temporarily offering up one of my huge science units for FREE, just for the duration of the hop. Once the hop is done, it will no longer be free. or on the picture below to get your freebie now! 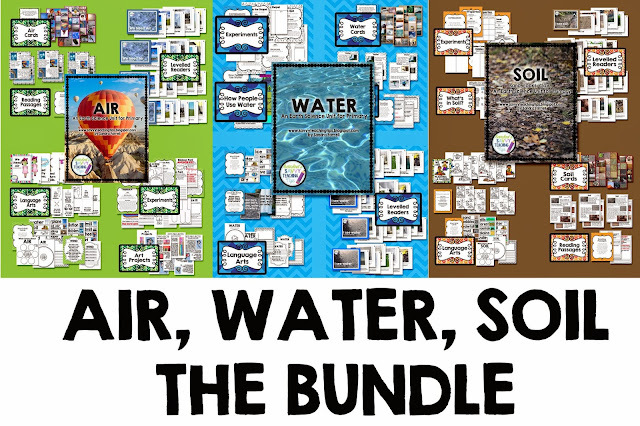 This unit is part of my 3 part bundle on Air, Water, and Soil which has quickly become one of my biggest sellers. Once you've checked that out, please enter my give away below to get the entire set for free. I'm super excited to tell you about one of my biggest products. And you have a chance to get it for FREE!!!!!! or on the photos above to check out this fantastic product in more detail. Enter in the Rafflecopter give away below for chances to win my Bundle. If you continue on the hop you will get a new chance to win a new product at each stop. Sounds totally fun right? Click on to the Sun image below to go to the next stop on the hop. I'm sure that Melissa over at Wild About Fifth has something amazing to share with you. I like teaching about matter but animal groups are a close second! I love teaching Plants. With kindergarten students, plant growth is magic. 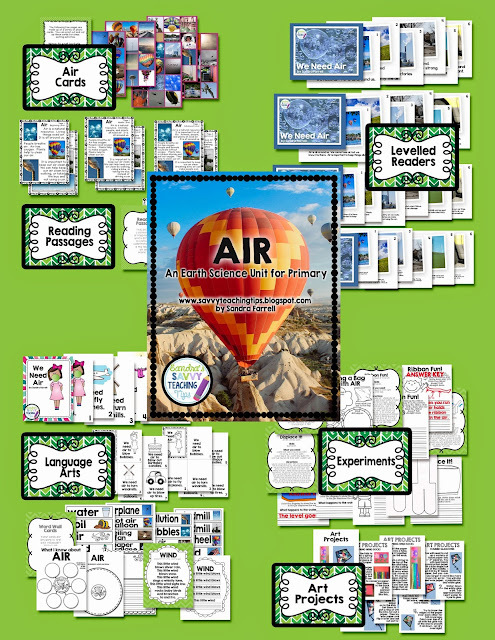 We do a lot of hands-on activities and can tie everything into tasks across the curriculum. I love teaching about the senses! I enjoy teaching about animals and the human body! I like teaching about animals and habitats! I love teaching about the body systems! Love to teach about rocks and minerals! I actually don't teach Science this year, but in the past it was weather! I like to teach about animals and weather. I use to love the 3 states of matter, then it was taken out of my grade curriculum. But now it is coming back- woot, woot!!! My favorite is life cycles! We have hatched chickens and watched caterpillars change into butterflies. I love animals and also rocks and minerals. Woah! 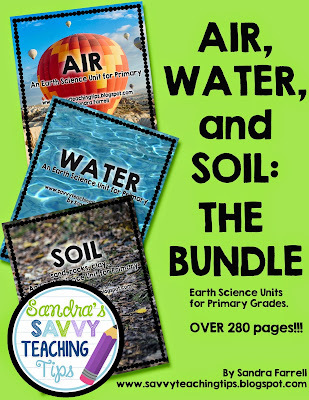 Science is my favorite to teach, and this will be perfect for the last few weeks of school! Thanks for the generosity! what a fabulous HUGE freebie! so generous of you. Thank you. I love teaching about animals. Thanks for your generosity! I love to teach the lifecycle unit- our chickens have almost hatched! I love to teach about animals. My favorite topic to teach in science is life cycles! One of my favorite science topics to teach is weather. I like teaching about plants. I just started teaching science this year but I am looking forward to teaching the Solar System! Favourite topic in science - anything that gets the kids and myself outside -- insects and water bugs are one of my faves! I love teaching about weather. I enjoyed teaching about nutrition and insects this year. I love to teach about both weather and animals.